Ruby & Diamond Ring. The center stone is a 1.80ct Cushion Cut Ruby. 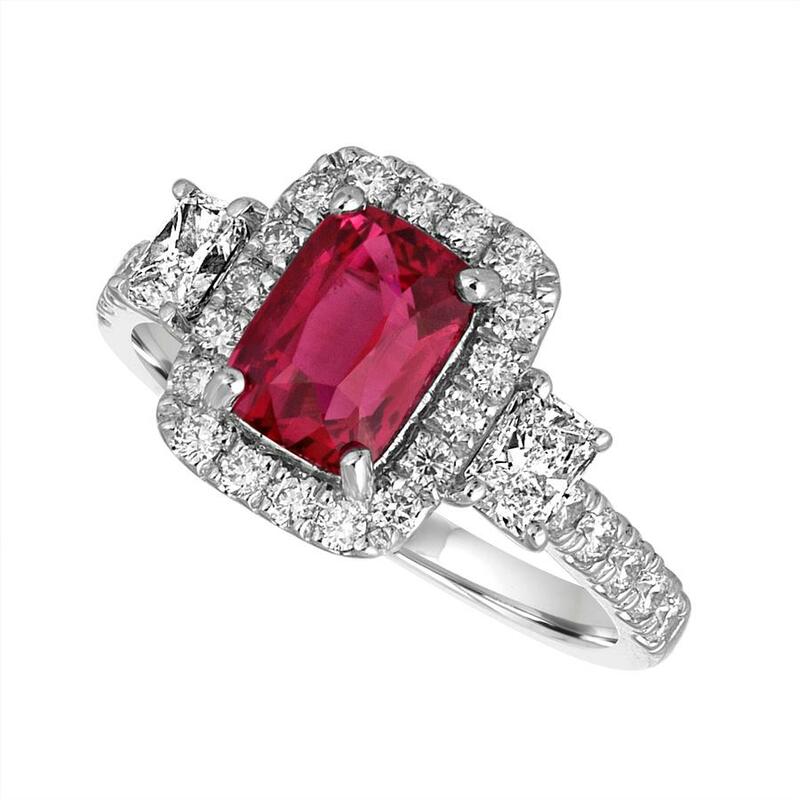 There are radiant cut diamonds on each side of the Center Ruby. There are round diamonds going around the center and half way down the shank.